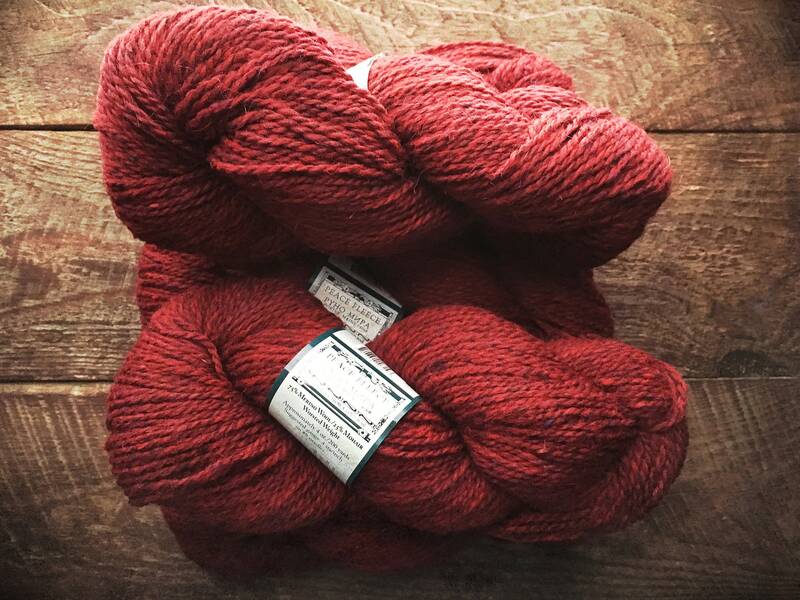 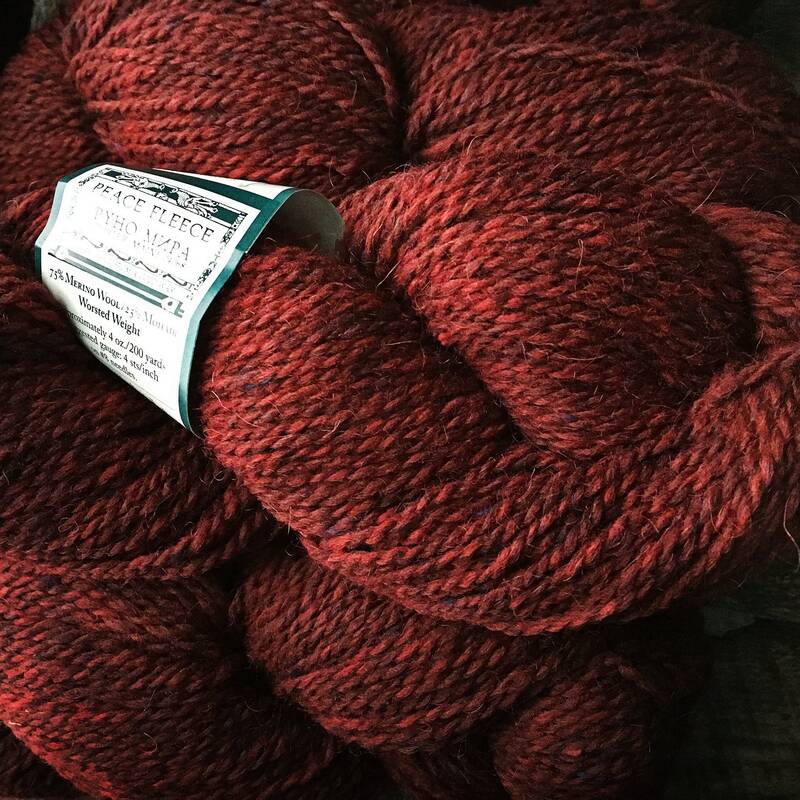 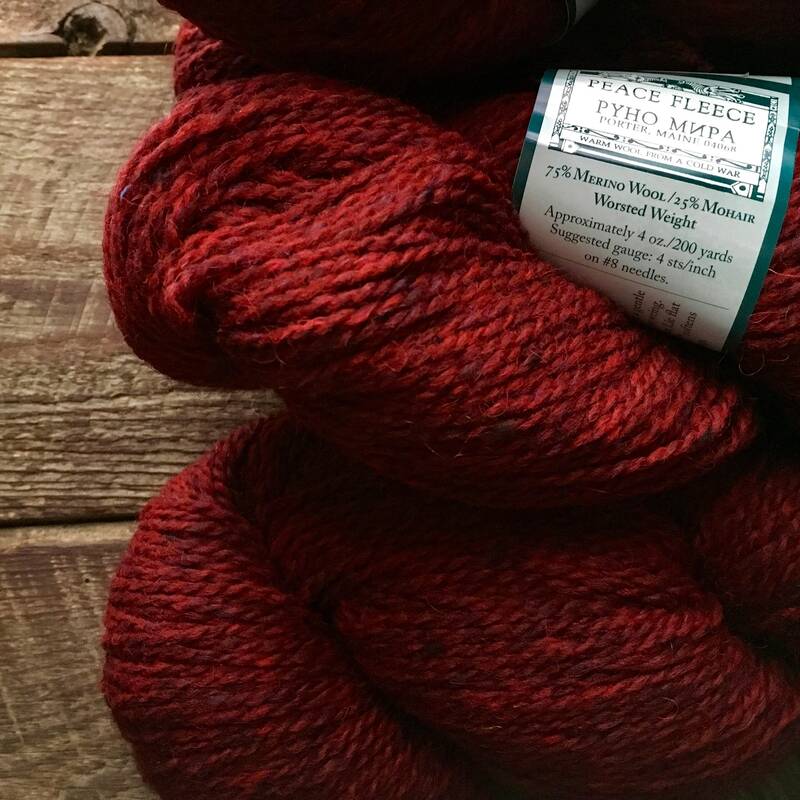 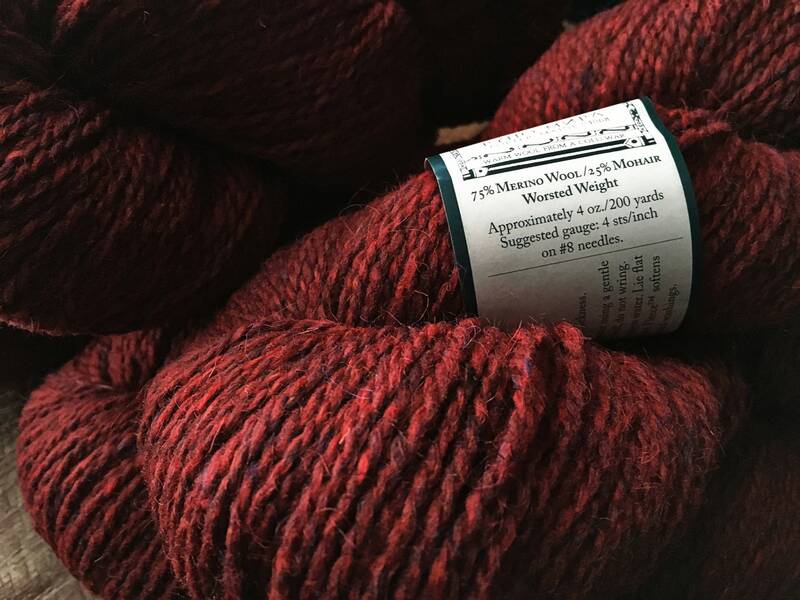 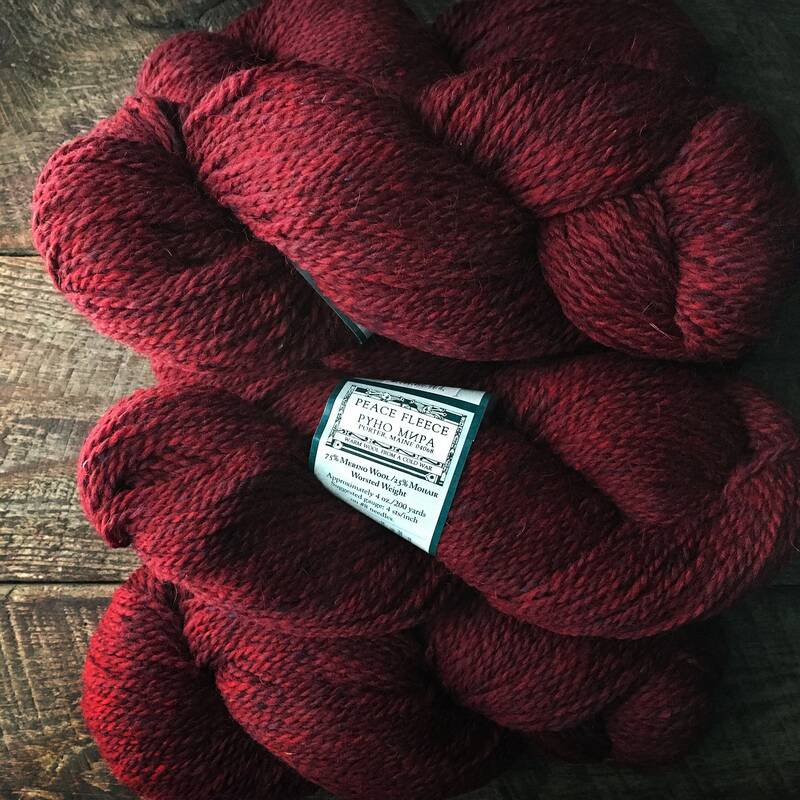 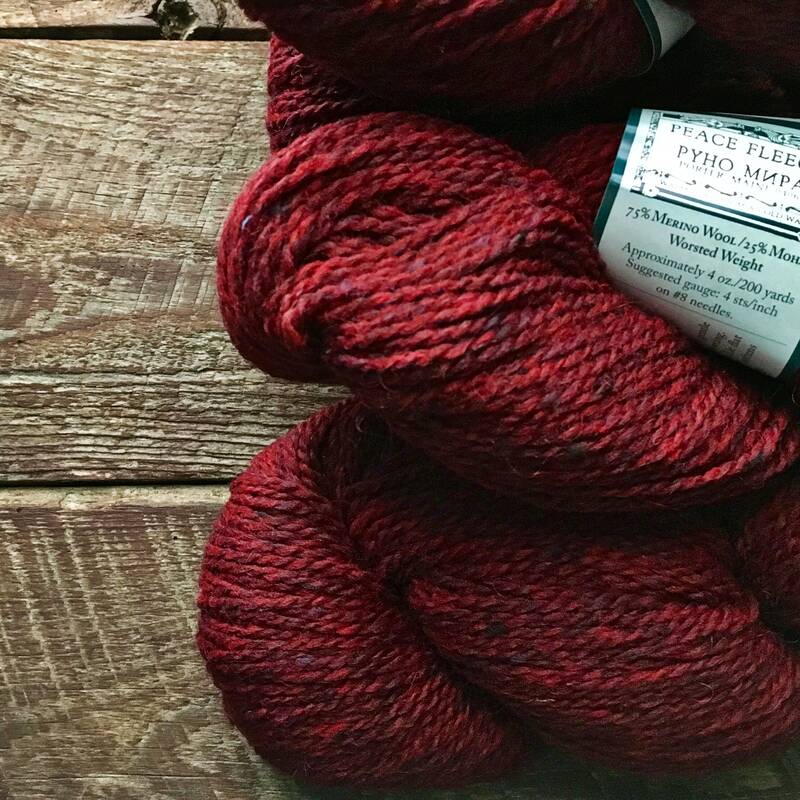 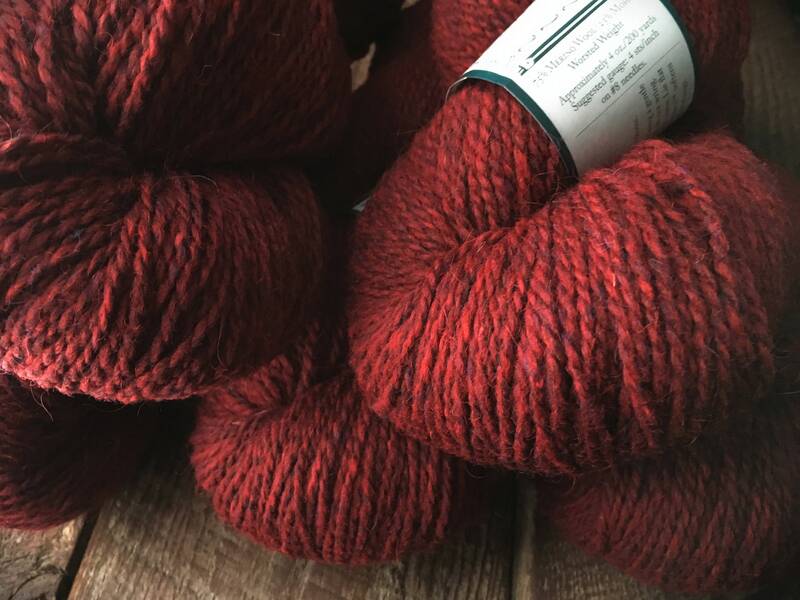 Peace Fleece's Amaranth is a beautiful garnet red and is an excellent worsted wool yarn! 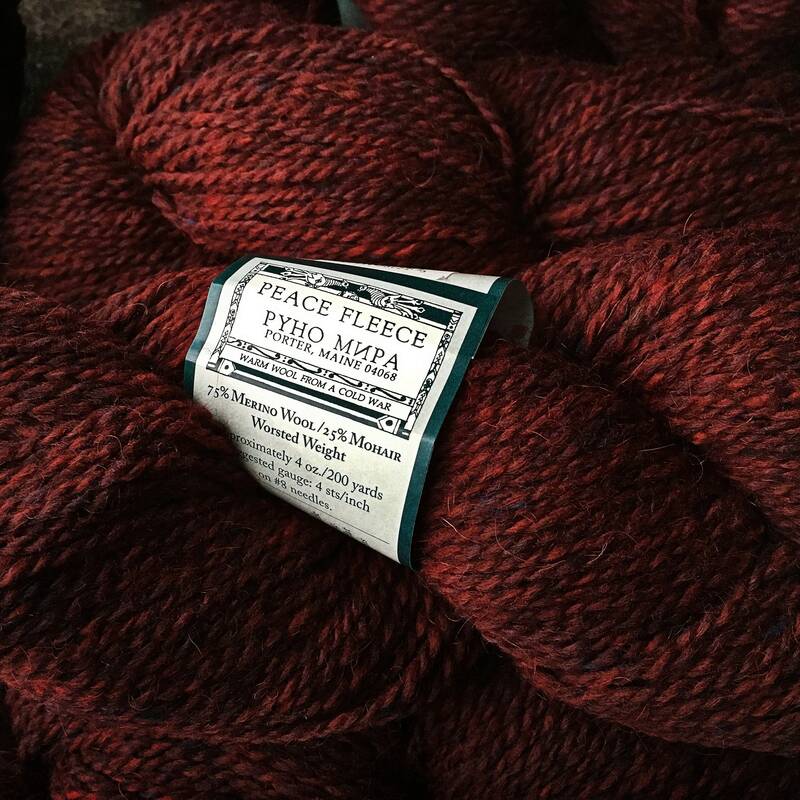 Peace Fleece is a good, sturdy working yarn that is very toasty, especially in sweaters and vests. 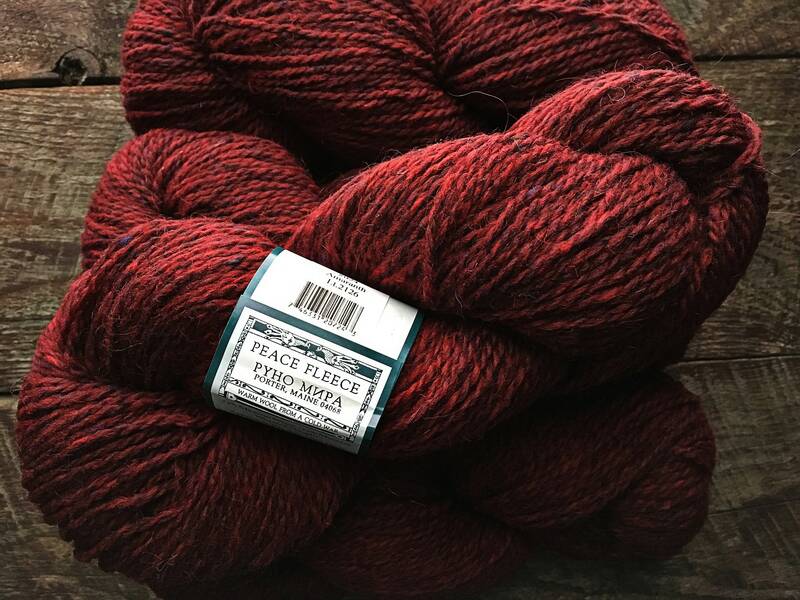 Peace Fleece feels stiff while knitting, but relaxes the more it is washed & worn, quickly becoming a favorite!